A coalition of community and environmental health groups in the United States of America today released a first-of-its-kind research combining air monitoring methods with new biomonitoring techniques to determine if toxic air emissions from natural gas operations could be detected in the bodies of nearby residents. 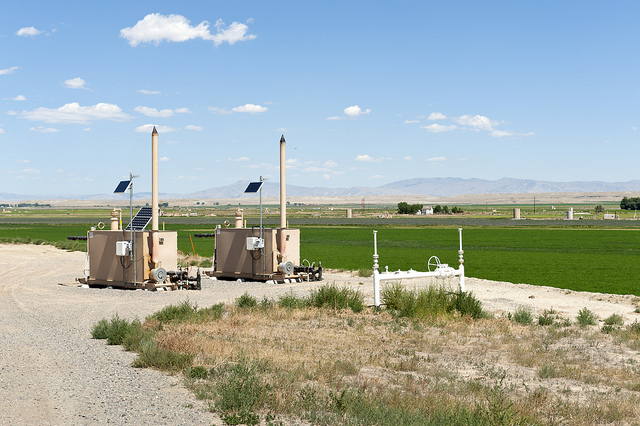 The study, entitled When the Wind Blows: Tracking Toxic Chemicals in Gas Fields and Impacted Communities, found evidence of eight hazardous chemicals emitted from Pavillion, Wyoming gas infrastructure in the urine of study participants. Many of these chemicals were present in the participants’ bodies at concentrations far exceeding background averages in the U.S. population. “If your drinking water is contaminated with chemicals, you might be able to make do with another source. But if your air is toxic, you can’t choose to breathe somewhere else,” noted D. Thomas, Director ShaleTest who lives in Wyoming and was one of the study leaders. “No matter which way the wind blows, gas development involves so many emissions sources that people can’t help but to be exposed to toxic chemicals from their operations,” she alerted. Science experts along with community members from Pavillion used a variety of air monitoring and biomonitoring methods in concert to understand if air emissions from gas production equipment are being absorbed into the bodies of nearby residents. They then used new biomonitoring methods that have been developed to detect the signature of hazardous chemicals in study participants through the metabolites, or ‘break-down’ products and other evidence of toxic chemical exposure. Researchers found volatile organic compounds (VOCs) in the air emitted from gas operations in Pavillion, and in the air immediately surrounding people working and living in the area. Later, researchers found evidence of these same chemicals in study participants’ bodies. The study focused on VOCs, and a specific family of VOCs named BTEX chemicals. BTEX or Benzene, Toluene, Ethylbenzene and Xylenes are chemicals known to be hazardous to human health, even at low levels. VOCs detected in this study are linked to chronic diseases such as cancer, reproductive or developmental disorders; as well as respiratory problems, headaches, nosebleed, and skin rashes. Study leaders note that because VOCs are so ubiquitous in products and in our homes, it is possible that the VOCs detected in participants’ bodies came from multiple sources. Having conducted this new methods development for air and biomonitoring of these toxic chemicals, researchers hope to improve upon these methods to further understand how these chemicals travel through the environment. The detailed report, When the Wind Blows…, can be read by clicking here.